I was so happy when I managed to get hold of a ticket to the hackers congress the same morning it started. I lost hope when I checked about a month ago and found out that the tickets were already sold out! 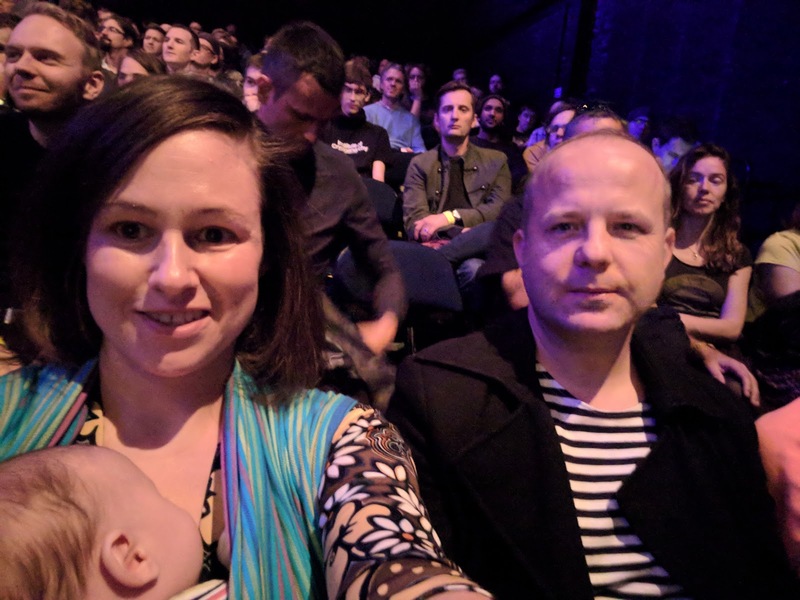 As the baby would just be a few weeks old I didnt want to risk it just in case it would be too difficult to bring a little one so I held on with getting the ticket until it was too late. 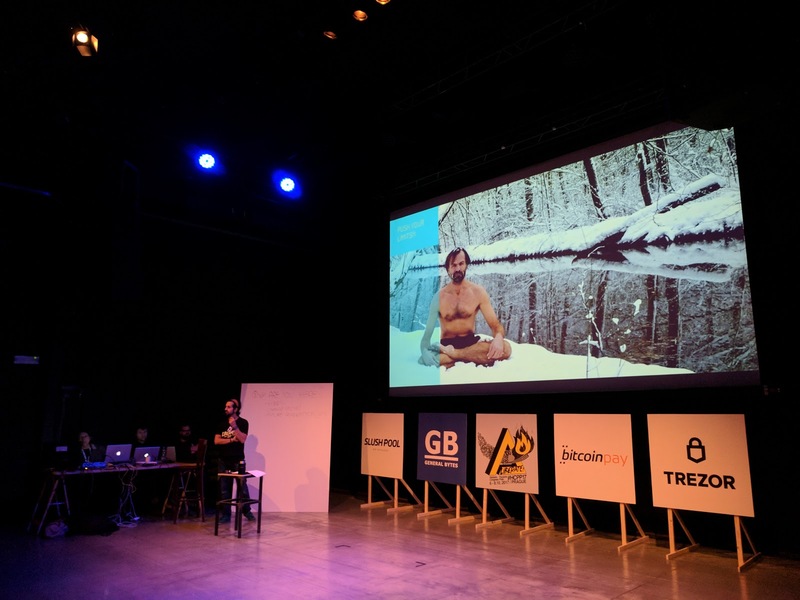 We went to hackers congress last year – it is held in the same amazing bitcoin place Paralelni Polis which brought us to Prague in the first place last year – and it was such a refreshing event with so many great ideas that my brain was cooking with excitement and I could barely wait for the next one so of course I had to go if I could figure a way to manage the baby-thing. So I brought Edward Satoshi King (yes, thats his name!) and figured I would wrap him in a sling all the time so he would sleep comfortably, and I also brought a little potty (for his toilet needs of course) and brought a little pillow as well for comfortable feeding. The speeches started at 1 pm, so it was perfect timing with his nap times. I think he slept through most of it apart from the panel discussion with crypto-anarchists like the very secret “Smuggler” and Frank Braun. 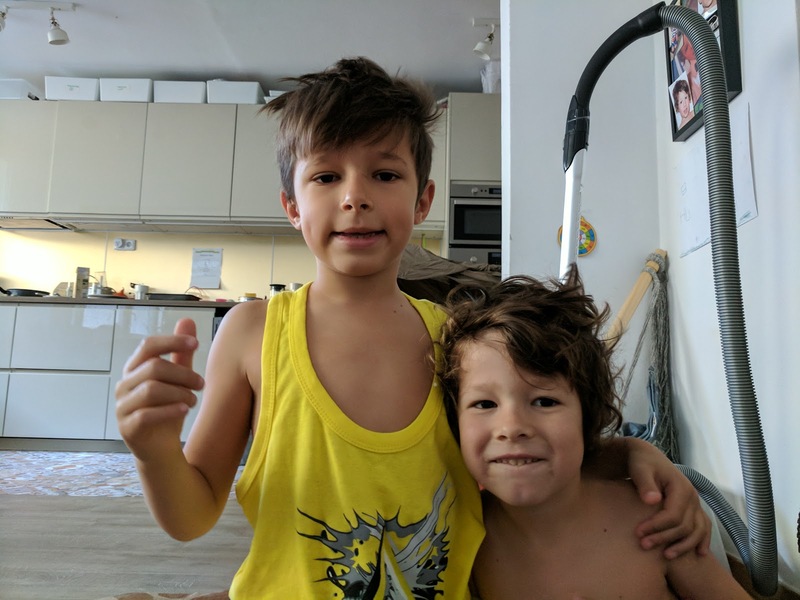 I left my 5 year old Henry at home with his dad because he would rather play lego and for the last two days my 7 year old Winston that is also interested in bitcoin came along. 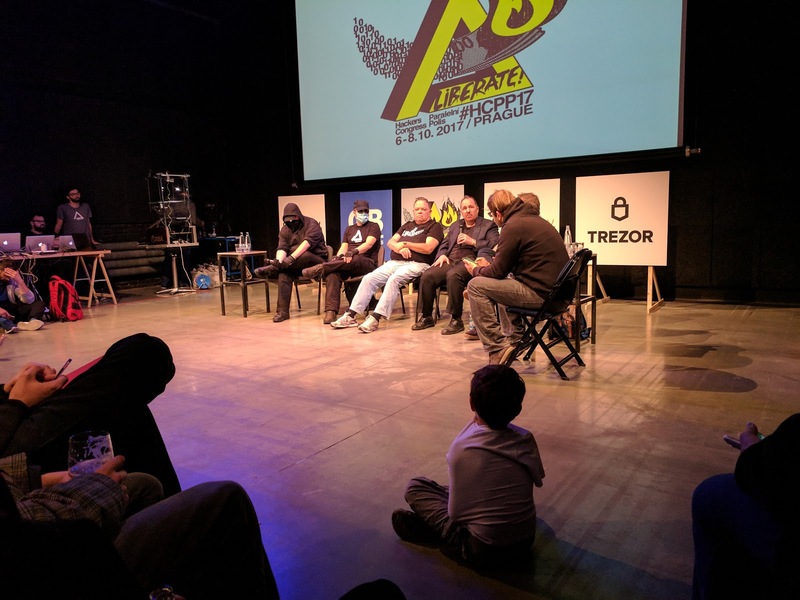 The Panel discussing the impact of crypto-anarchy with Smuggler, Frank Brown, Jim Bell, Amir Taaki, Joerg Platzer and Pavol Lupták. Winston wanted to sit as close as possible. 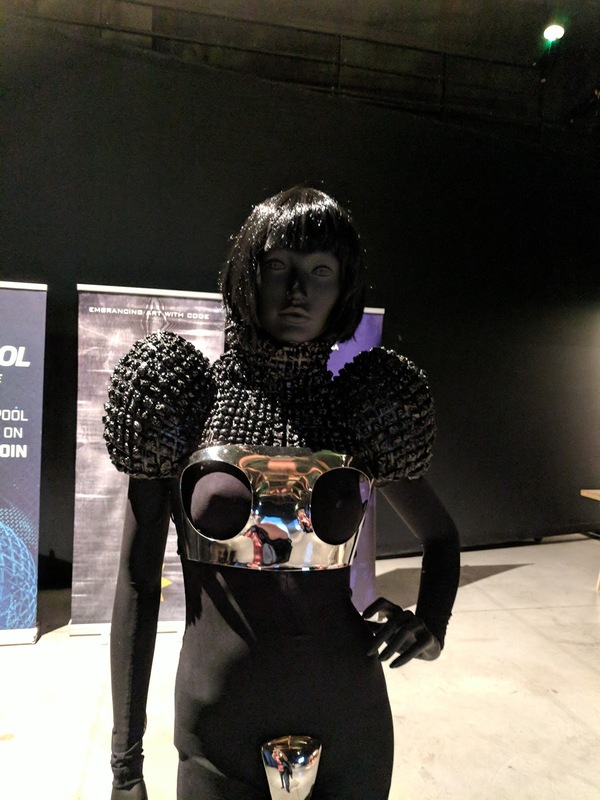 Hackers congress had 600+ participants and over 50 speakers. It was busy but it didnt feel as crowded as it could be. It was really hard to choose between speeches because many of the ones I wanted to go to was at the same time. 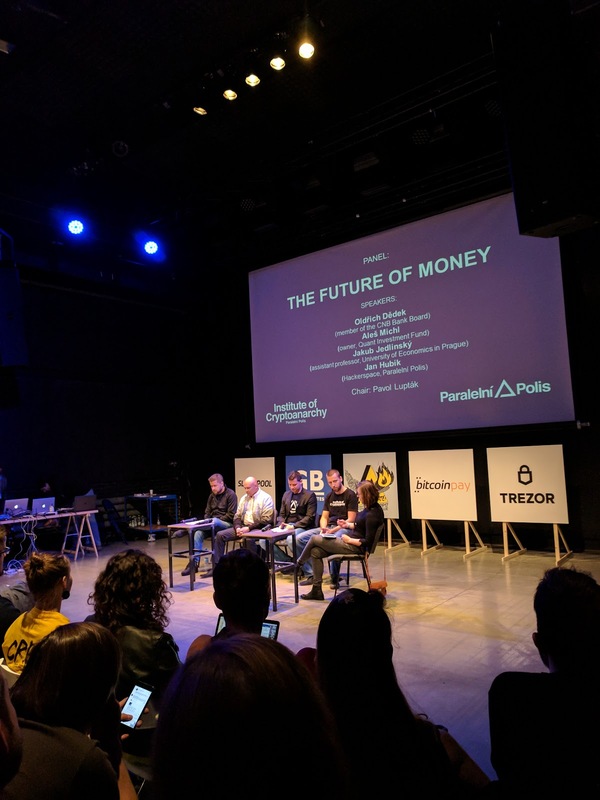 I went to another panel discussion about the “Future of money”. One of the participants was Oldřich Dědek – a member of the Czech national bank. I dont think he realised what he got into when he chose to get into a verbal battle about money and crypto-currencies here. His point was that fiat currency (“normal” money) was a product of evolution and that it was the best thing. And blamed the failures of that, that it was just some small mistakes from the central banks. 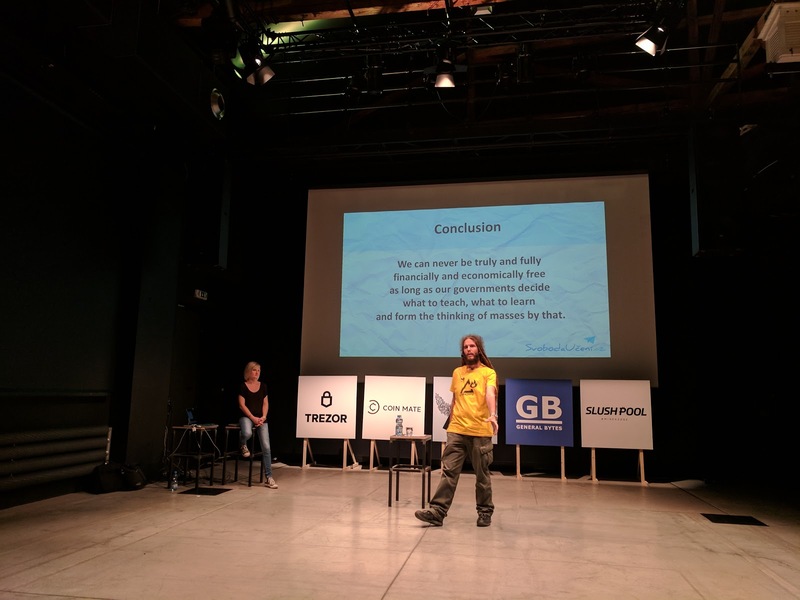 He was quite misplaced amongst the crypto-anarchists and I think he didn´t win anyone over from the audience. 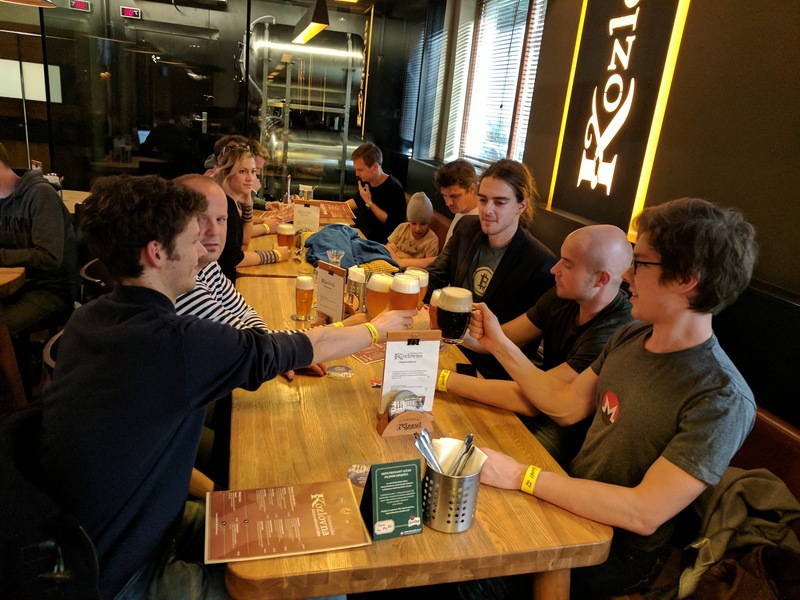 Dinner break at one of the nice brewery restaurants nearby – “Holesovicka Kozlovna” – with the family, Swedes, locals and foreign crypto-lovers. With our dear local friend Přemysl. One of the most interesting speeches was Tone Vays talking about the ups and downs of the bitcoin rate before and what he predicted. It has so much to do with current events. If you want to start trading with bitcoin it really helps to educate yourself and follow the news closely. For instance when it was the Cyprus banking disaster a while back the bitcoin rate of course shot up high. Crypto-currencies like bitcoin is really a savior for people in countries with crap governments such as Venezuela. It is a remarkable stupid government there that starves its people on purpuse for its sake of defending socialism by continuing printing money. Some people do understand it and also takes advantage of subsidized electricity so they can mine bitcoin and save themselves and their families. Tone Vays which is a former risk analyst from JP Morgan also did some predictions for the future. If you are up to date with current events in the EU you can guess that Spain and Italy also will be bailed out by EU soon so then it could be good to get some more bitcoin before. The other day the rate was almost $5900 which is more than 6 times what is was last year so you can expect it to continue rising sharply. 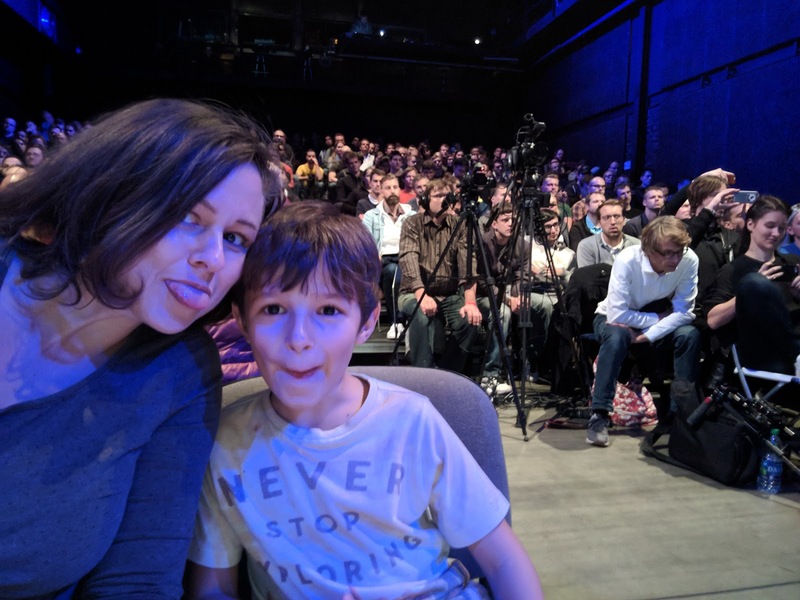 Another exceptional talk was by Urza and Zdenka Stankova about unschooling and separating the state from the education. I know Zdenka from before so I have a pretty good understanding of the unschooling situation here but I havent heard Urza before. He is also the head of Mises for Czech and Slovakia. Urza was very passionately expressing exactly what I feel about the education system. Education should NEVER be run by the state. It is nothing but a propaganda system to feed itself and its not designed for the childrens needs. It is designed to teach children to do what they are told and not to think freely. So the solution is to separate the schooling from the state. You can read their Manifesto here. 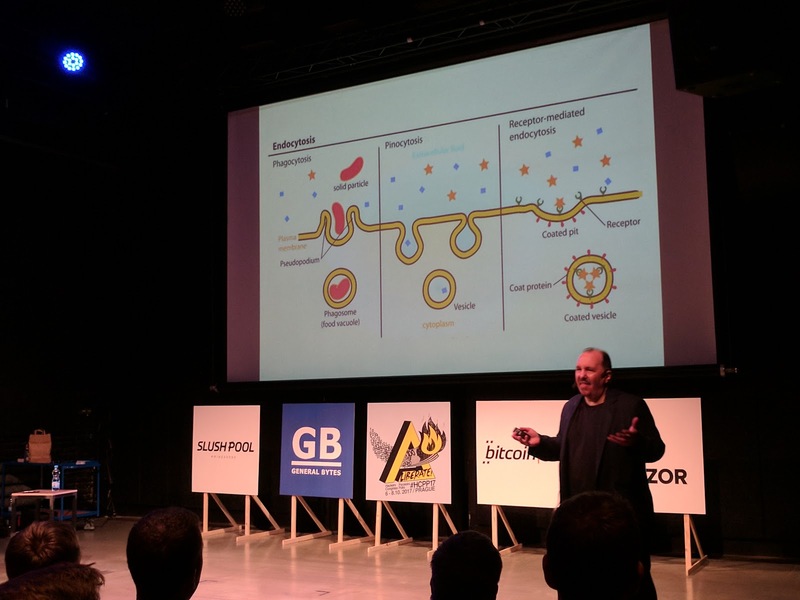 Paul Rosenberg about Bio-hacking and CRISPR. I went to his speech last year as well and enjoyed it. Amin Rafiee talked enthusiastically about overcoming programmed ideologies. He changed his life completely from what is considered “normal” (go out drinking and have the mindset you typically get from years and years of school indoctrination about the 9-5 work life style etcetera) to radically change to a much freer life free from crap and that is interesting. He was doing stuff that is naturally meant for the body to do such as fasting and swimming in frozen lakes. Since we also did a radical change (leaving Sweden as exiles from the forced statist school system) his story resonated a lot with me. It was nice to be accompanied by Winston that wanted to come with me to quite a few speeches. “I am Satoshi Nakamoto” or “Edward Satoshi King”? 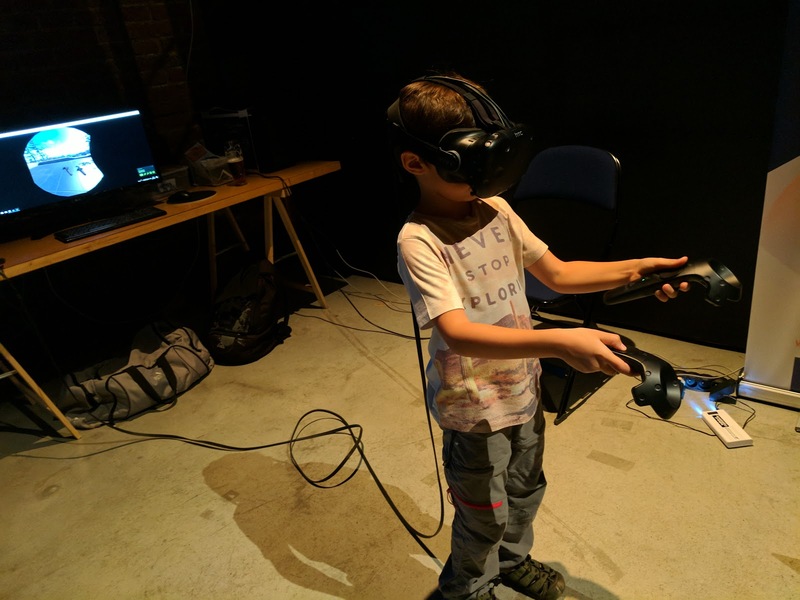 There was some cool stuff such as this virtual reality thing with controls where you get to explore a digital world. We enjoyed the fashion show and had a close look at the outfits. They are quite futuristic. I might be interested in ordering a silver coin like this.. 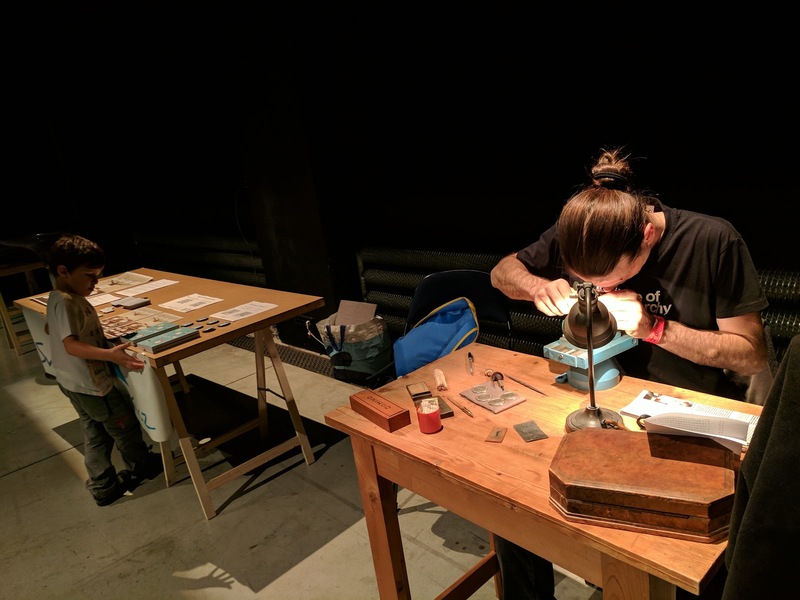 This person was engraving a public key for a bitcoin-adress. So when you buy the coin you also get some bitcoin with it. 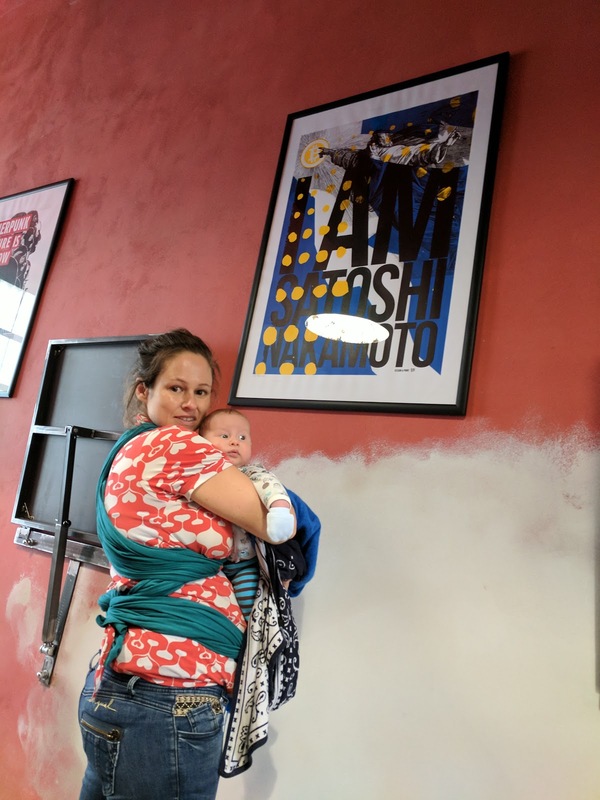 Boys are getting big! My top that I bought at the congress last year almost fits Winston now. Nice outings without the family for once. 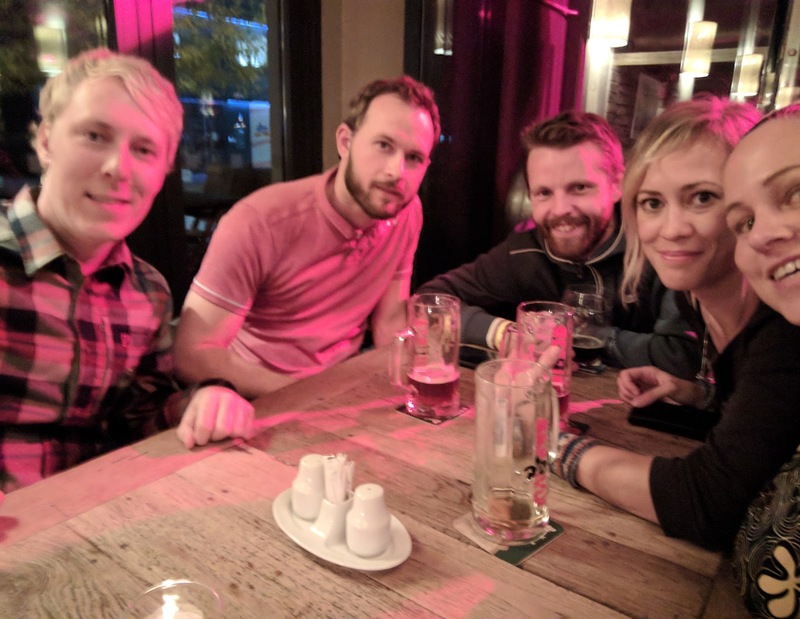 Here with some of the Swedes that went to the hackers congress. 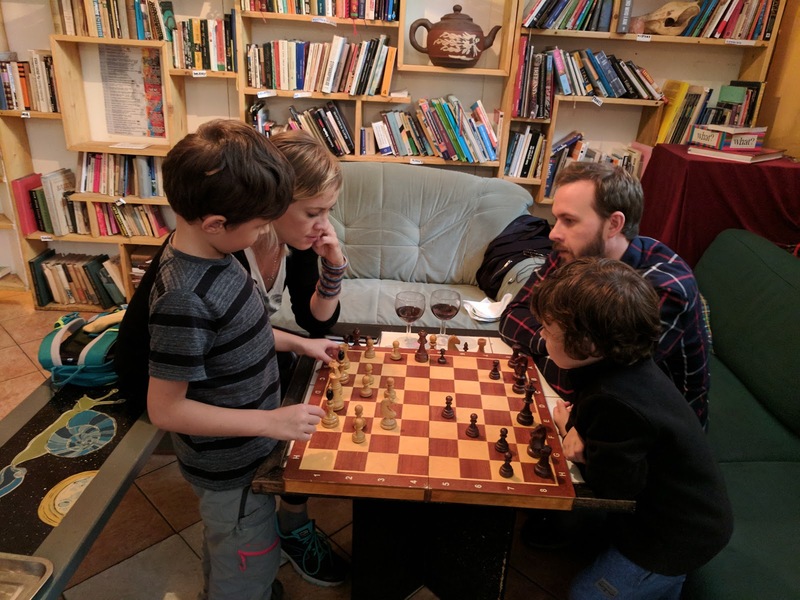 With Paralelni polis being closed for a few days we went to our other favorite bitcoin cafe A Maze in Tchaiovna. Its really cosy with lots of sofas and board games and also a little maze of course. Its perfect for lazy days playing games so we joined our dear friends that had already been hanging out there the whole day. 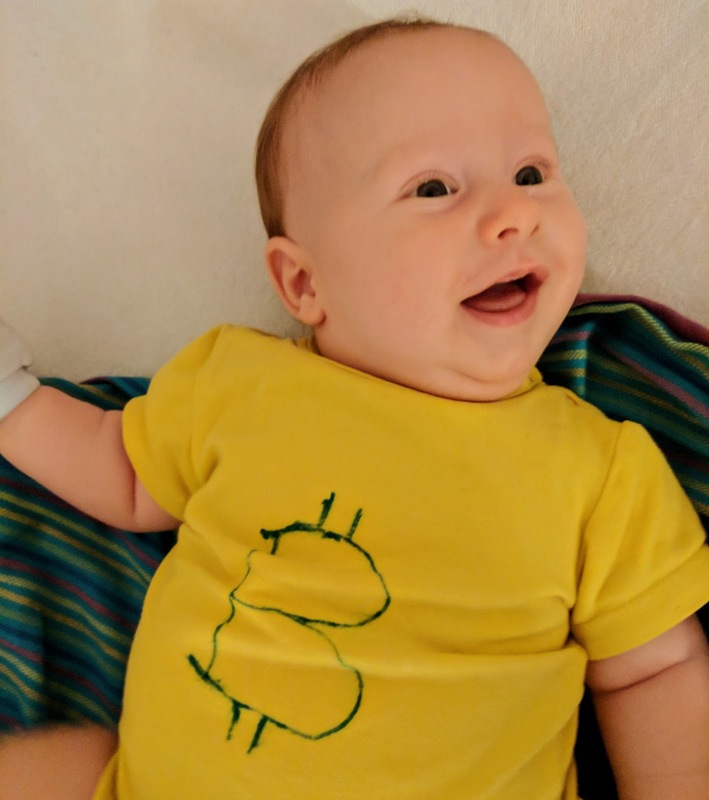 Edward Satoshi is happy in his new custom bitcoin t-shirt. 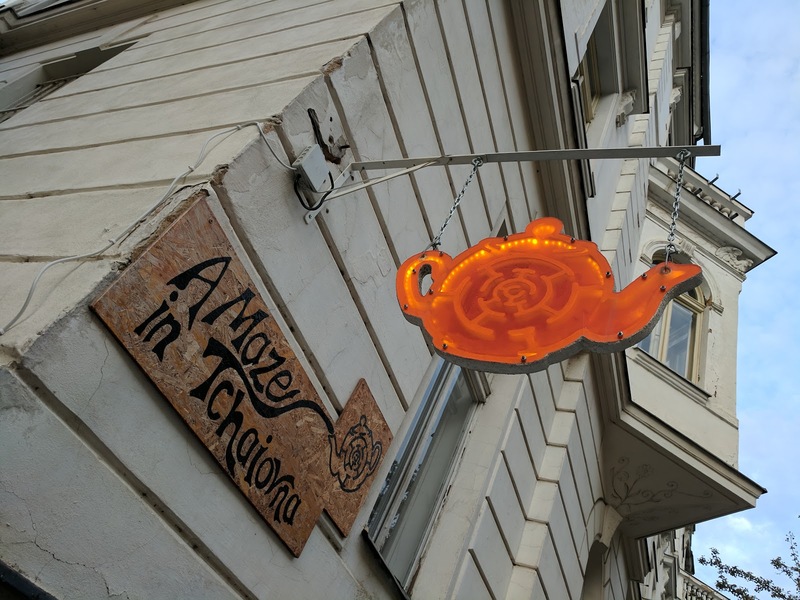 Prague is THE bitcoin capital of Europe. 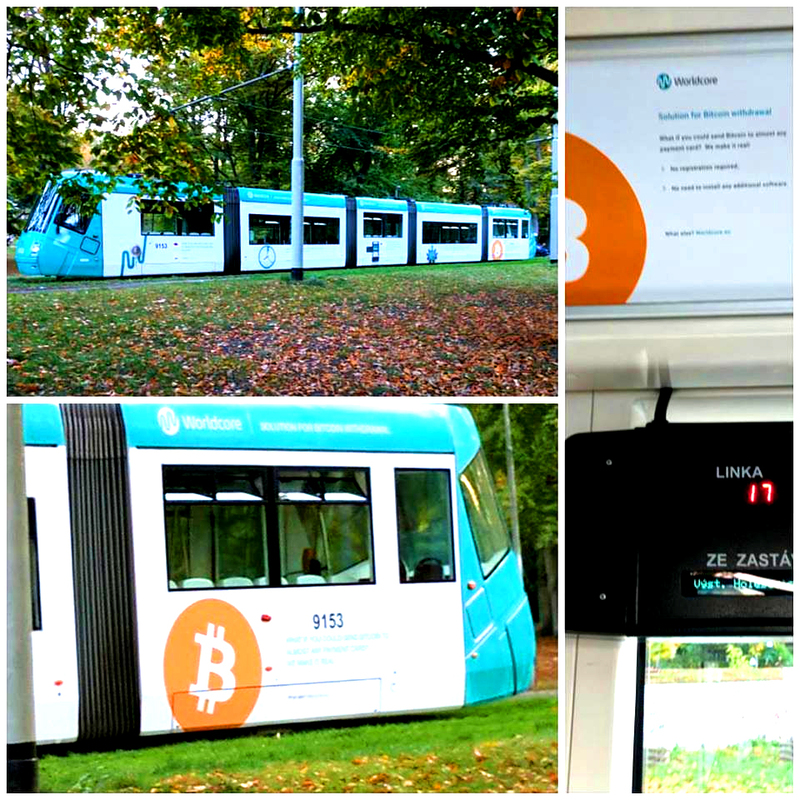 Even the trams have got bitcoin advertising! 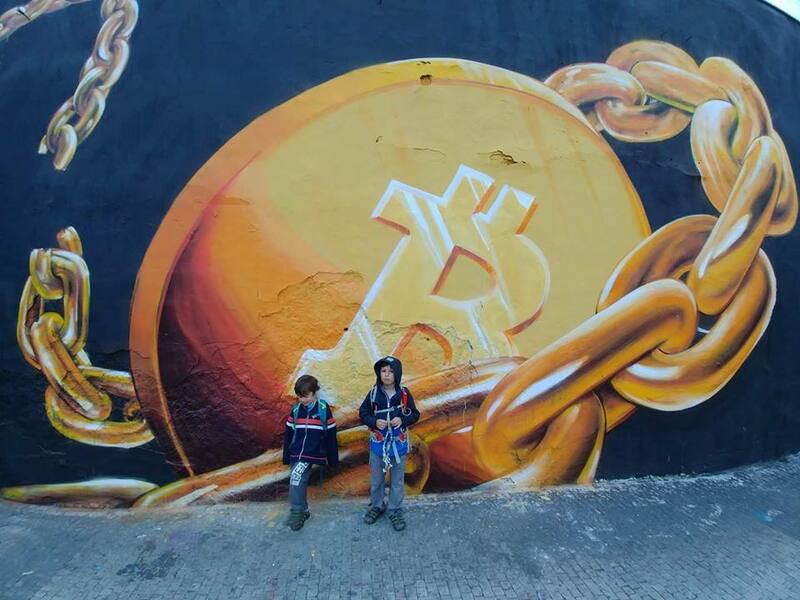 The new graffiti on the wall was pretty cool..until some stupid idiot scribbled Litecoin over it. Get your own wall! Det här inlägget var publicerad i Anarkokapitalism, Bitcoin, In English, Tjeckien med etiketten anarko-kapitalism, bitcoin, In English, Tjeckien. 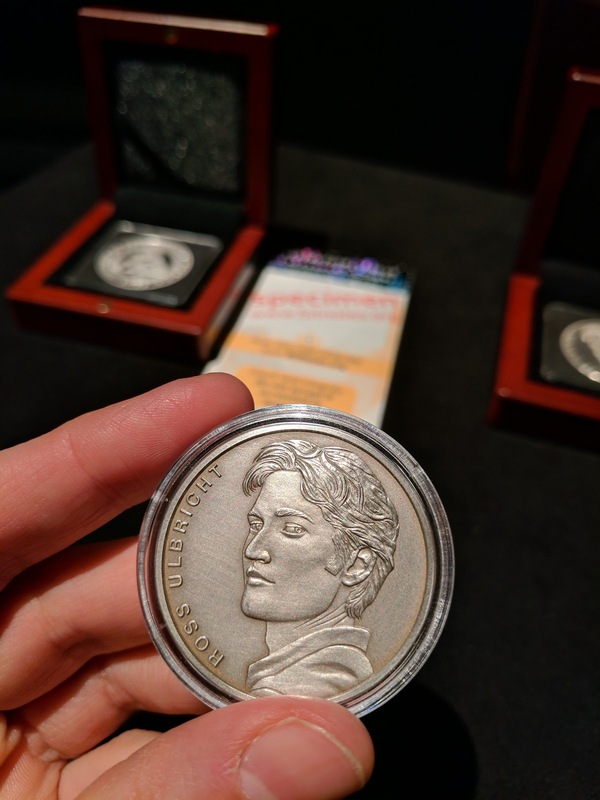 Awesome coins! 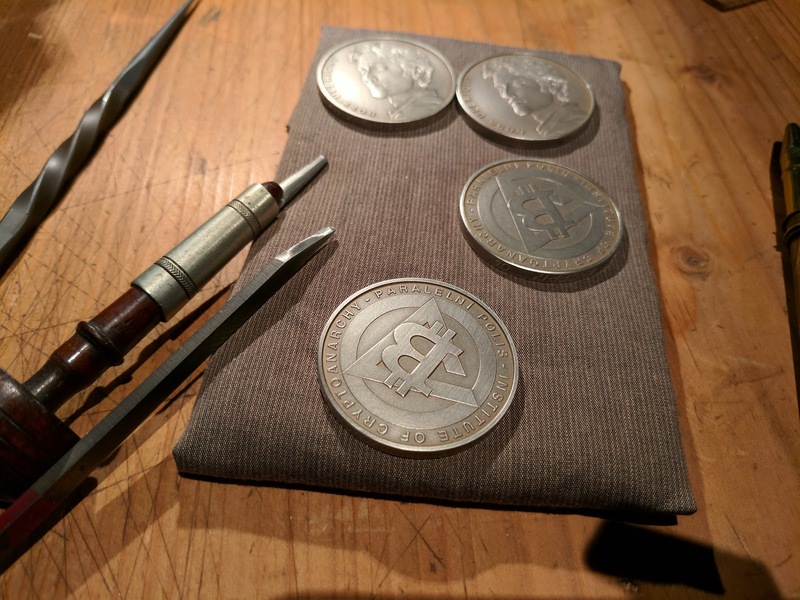 You mentioned you were thinking of ordering one Bitcoin-themed silver coin, do you happen to know or have a recommendation for where to get one? I'd like one with Ross Mr Agora Ulbrecht on it though!